Among the 260,000,000+ North Americans with internet access, the Web is the most widely-used resource for health and medical information . Couple this with the fact that most modern pet owners view their pets as members of the family, and it comes as no surprise that people are turning to the internet for their pet medical information just as they do for their own. A Google search using the words “pet health” turned up 183,000,000 results in less than half a second. It would be wonderful if all of these websites were vetted and full of accurate and useful information. Unfortunately this just isn’t the case. 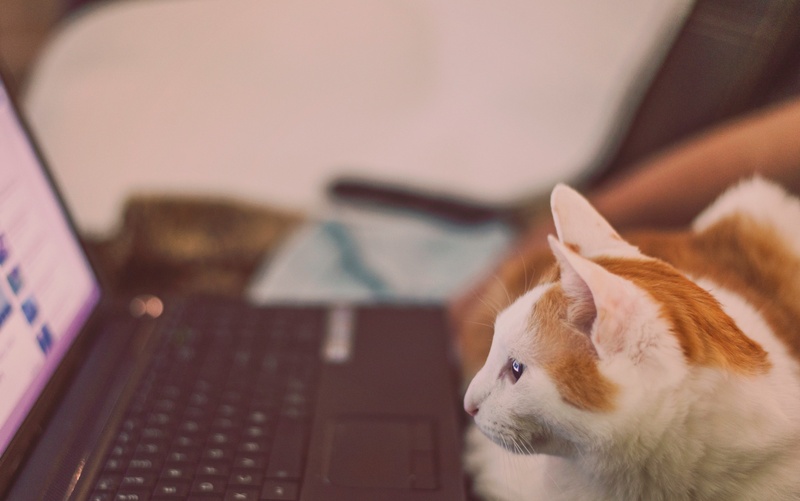 Your veterinarian can tell when you’ve researched your pet’s symptoms online. If you have used credible, vetted sources for your information, this knowledge can benefit you and your pet and may even make your office visit easier. However, much of the pet medical information found online is inaccurate, misleading, or even dangerous. It’s important to always consider your source when it comes to pet health information. Avoid taking advice from any website or publication that is selling a product or touting a “homemade” remedy, especially if there seems to be an emotional tone to the content as this can indicate it’s merely the author’s opinion. Also, be wary of websites that claim you do not need a prescription for medications like heartworm preventatives or NSAIDs. Erroneous information and even scare tactics used by some sources can keep people from seeking proper treatment for their pets, including medications, food, and dietary changes. Sadly, when some pet owners turn to the internet for advice in order to avoid a trip to the vet, things can actually get worse. Delaying treatment can lead to a more serious situation for your pet. Your veterinarian is, first and foremost, the authority on pet health. His or her combination of education, experience, expertise, and firsthand knowledge of your pet is no match for any website when it comes to diagnosing and treating your pet’s illness or injury. Ask your veterinarian for a list of credible sources of information. Check your veterinarian’s website; many offer lists of helpful and vetted internet links and other resources. Try to use sources that appear credible. Articles should be written by veterinarians and cross-referenced by other reputable sites. Look at the sources of information to find out if an article is vetted. This could be in the “about us” section of the website or at the end of a specific article.